Designed by MZ Architects, built by ALDAR Laing O’Rourke and developed by ARUP as lead-consultant (probably the best engineers on earth) the Aldar Properties brand new headquarters building stands proud towering 23 floors above the azure waters of the Persian Gulf on the Al Raha Beach mega-project in Abu Dhabi in the UAE. This very unique spherical-shaped building has two concrete cores housing its escape stairs, lifts, and bathroom pods and is built with a steel-framed floor grid constituting lightweight screed flooring on a supported dovetail metal deck as is typical of commercial construction technology worldwide. Its outer shell is made up of a structural diagrid of steelwork and triangular shaped glazing panels to give it the distinct look that defines it’s presence alongside the main freeway as you approach Abu Dhabi from Dubai. 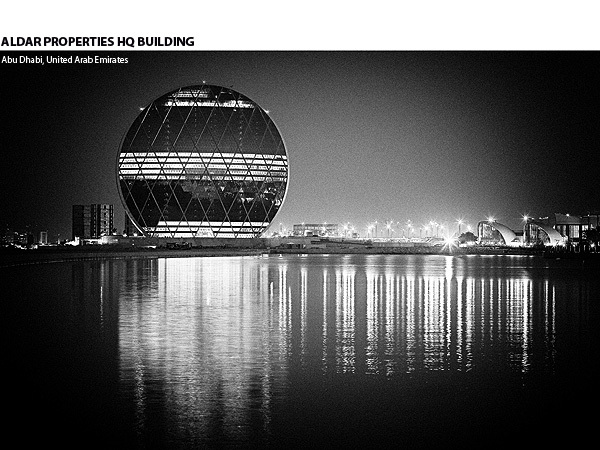 It was voted the “Best Futuristic Design” at The Building Exchange (BEX) Conference held in Spain recently. 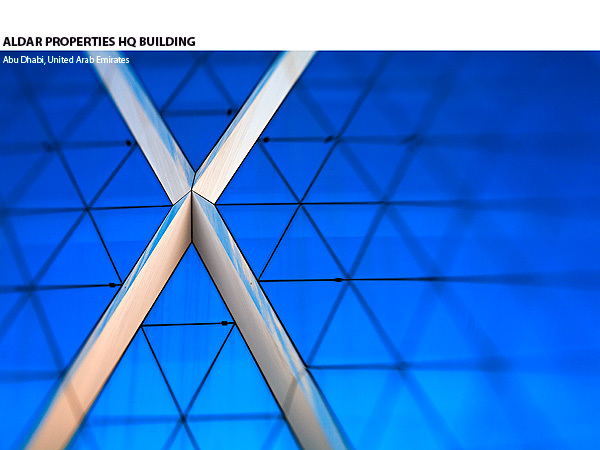 With its 23 floors of office space it stands an impressive 110m in height and offers commercial floor space of some 62,000m2.